In the previous article we discovered two amazing instruments, the Ondes Martenot and the Ondioline. In this, the second-to-last installment of this series, I invite you to discover two even more amazing specimens! We'll begin with a string synth: The Trautonium. Created in 1930 by the German Friedrich Trautwein, it features a string as an interface for the musician. To be more precise, it's a resistor wire placed horizontally above a metal plate. The musician puts the resistor in contact with the plate by pressing on it, closing the electrical circuit that feeds the tube oscillators (see previous article), which in turn produce sound. The electrical resistance varies according to the pressure on the string, which has an effect on the frequency (and, thus, the pitch) of the signal produced by the oscillators. Dynamic variations can be achieved by varying the pressure on the metal plate (this function was originally controlled by a pedal). Small metallic blades set perpendicularly to the string allow you to directly get preset chromatic notes. Just like the Ondes Martenot, the goal was to offer the musician a design — and thus an array of articulations and expression modes — much closer to that of bowed instruments rather than keyboard ones. 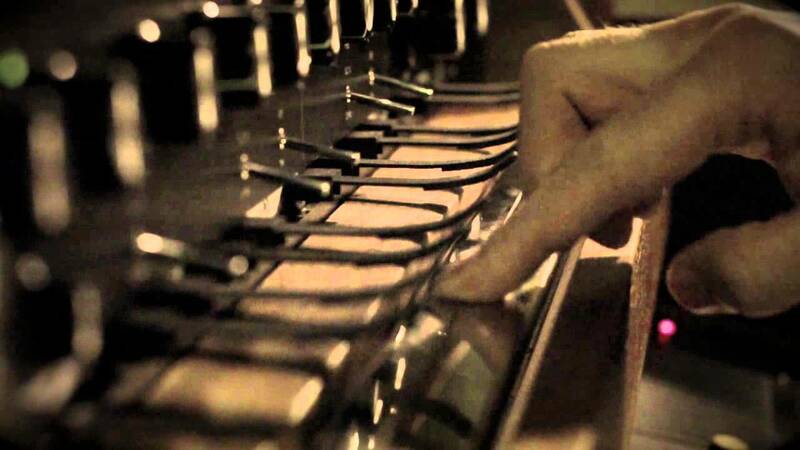 Filters allow you to change the timbre of the sounds produced by the Trautonium, making it one of the first subtractive synthesis instruments. After the commercial flop of the first version of his instrument, the Volkstrautonium, Friedrich Trautwein entrusted the continuation of his work to his assistant Oskar Sala, a physician, composer and pianist. Sala turned the Trautonium into the Mixtur-Trautonium in the 1950s, adding to it a second string/metal plate interface, noise and envelope generators, bandpass filters, and subharmonic oscillators. 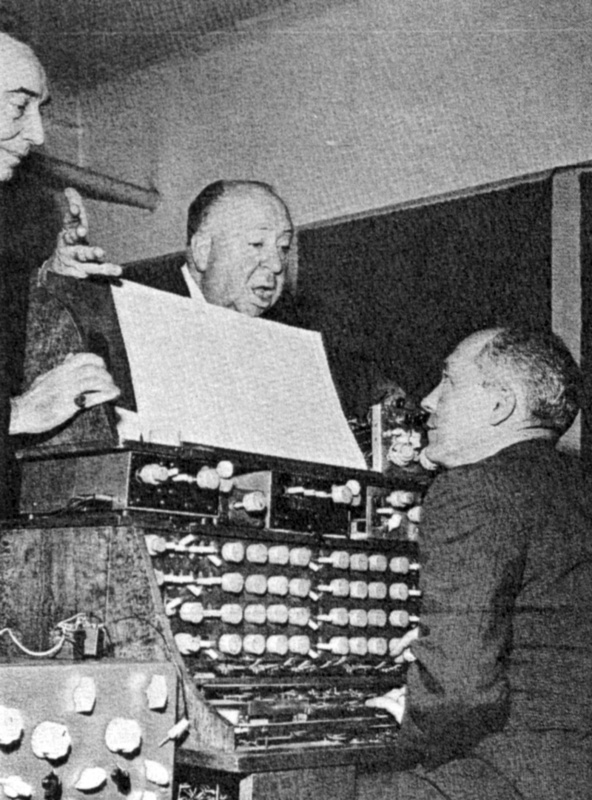 It was thanks to this instrument that Hitchcock was able to create the soundtrack for The Birds (On the picture to the right you can see Hitchcock with Oskar Sala in the foreground). Today, German company Trautoniks continues manufacturing this marvelous instrument and Doepfer offers ribbon modules that emulate the string of the Trautonium. 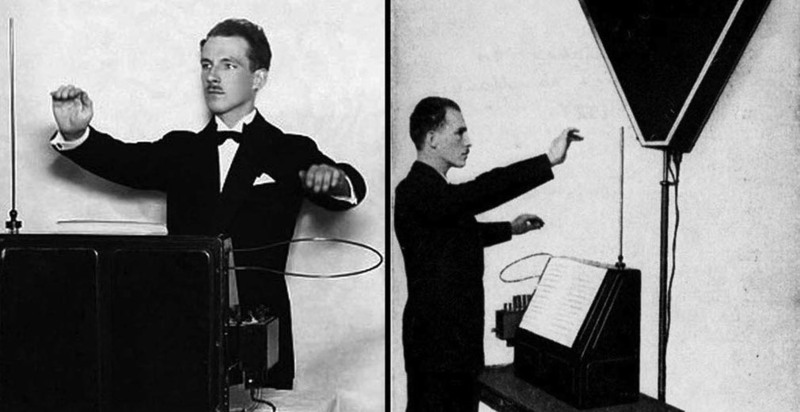 To finish our brief review of the extraordinary ancestors of today's synthesizers, I invite you to discover one of the most amazing musical tools ever created: the Theremin! Before detailing what makes it so unique, let me first note that the sounds produced by this instrument — invented in 1919 by Russian engineer Lev Sergueïevitch Termen (aka Léon Theremin) and manufactured by RCA for some time — are similar to those produced by the Ondes Martenot. This shouldn't come as a surprise, considering that both of them rest on the heterodyne principle (see previous article). But that's about all they have in common, because the timbre of the Russian instrument can't be modified. What makes the Theremin unique is its control interface. In fact, the musician does not need to touch the instrument to play it. The Theremin features two antennae: A straight vertical antenna and a circular horizontal one. Each of them is connected to a pair of heterodyne oscillators. 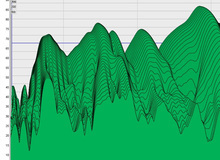 The musician varies the frequency and amplitude of the signal by modifying the distance between his or her hands and the antennas. This system recalls the phenomenon of capacitance. When the Theremin is powered on, an electromagnetic field is created around the antennas. The electric charge of this field increases by reducing its size, with the musician's hand, for instance. When the charge increases, it lowers the frequency of one of the two oscillators connected to the antenna, while the frequency of the second one remains fixed. The lower the frequency of the first oscillator, the bigger the difference with respect to the second one (always according to the heterodyne principle, for those of you who are a bit lost). The vertical antenna controls the pitch of the signal, so the musician needs to move his or her hand closer to the antenna to increase the pitch, and move it further away to decrease it. The horizontal antenna controls volume. The further the hand moves from it, the louder the volume gets. Although its playing technique is not easy to master, the Theremin is still widely used on many modern productions. Moog Music even launched a reissue ─ the Etherware ─ based on transistors, rather than tubes. The end is almost here for this series on synthesis. I invite you to join me for one last article that will serve as a summary of what we've covered.